Sydney Taylor’s beloved All-of-a-Kind Family series chronicles a Jewish immigrant family at the beginning of the 20th century. 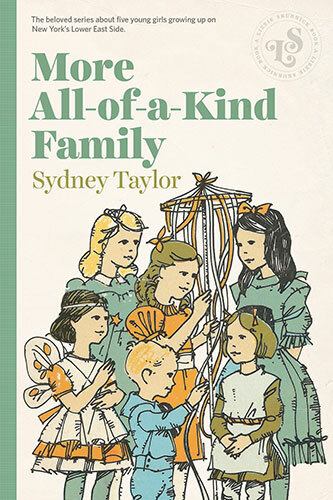 The richly drawn characters, based on Taylor’s own life, include five sisters—Ella, Henny, Sarah, Charlotte, Gertie—and their mischievous brother, Charlie. The second book in the series, this YA classic presents a vivid and humorous portrait of life at the turn of the century, as WWI approaches, a single uncle finds love, and a new friendship blooms among latkes and the library.